Train your teens to relationally share their faith and watch their faith grow! Evangelism is high on most youth leaders' priority list, but fear is sometimes a roadblock to getting our students sharing their faith. But faith-sharing doesn't have to be scary! Try these simple tools and watch your teens go for it. 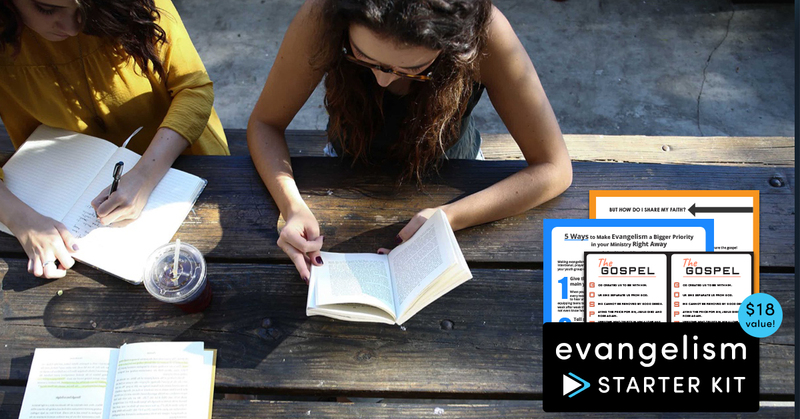 Check out the Evangelism Starter Kit from Dare 2 Share with all the basics for inspiring and equipping your youth group for relational evangelism. Youth Group Curriculum - "But How Do I Share My Faith?"